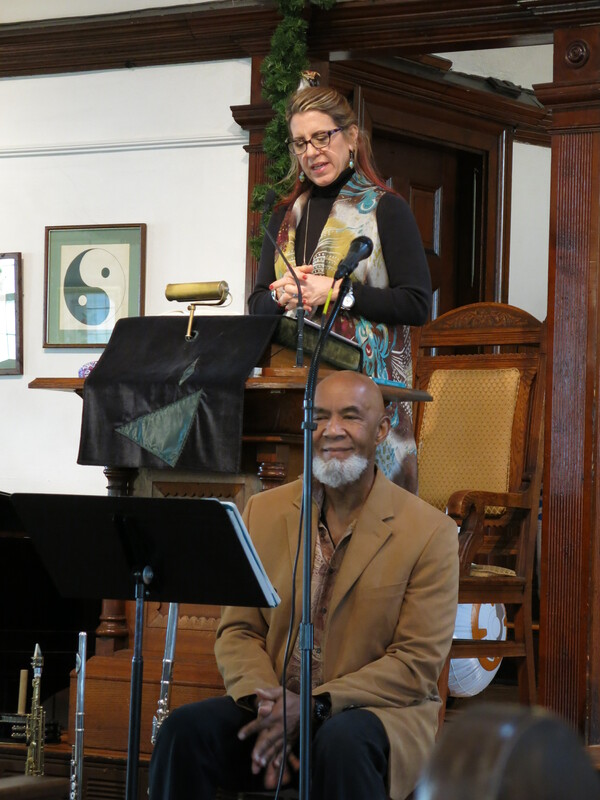 Sunday, February 3, at 10:30 a.m.
We welcome back Jeannie Gagné and Stan Strickland for a soulful morning of music and reflections. Jeannie is the former Music Director of our church, and she and Stan have shared a “Jazz Sunday” with us annually for many years. Both Jeannie and Stan are teachers at the Berklee School of Music. Jeannie Gagné and Stan Strickland at Jazz Sunday 2018. Jeannie Gagné co-authored Singing the Journey. Professor of Voice at Berklee College of Music, she is known internationally on YouTube as The Vocal Genie. Her book, Belting: A Guide to Healthy, Powerful Singing (2015)—the first of its kind—has received rave reviews by voice teachers worldwide. Jeannie’s first book on vocal technique is Your Singing Voice: Contemporary Technique, Expression and Spirit. Jeannie has released three solo CDs – Closer to Bliss, Must Be Love, and Wide Open Heart. Having traveled in 2018 to teach and perform as far away as Kenya and China, she has recently launched a locally-based singing and wellness workshop series in her newly renovated creative space in Walpole. 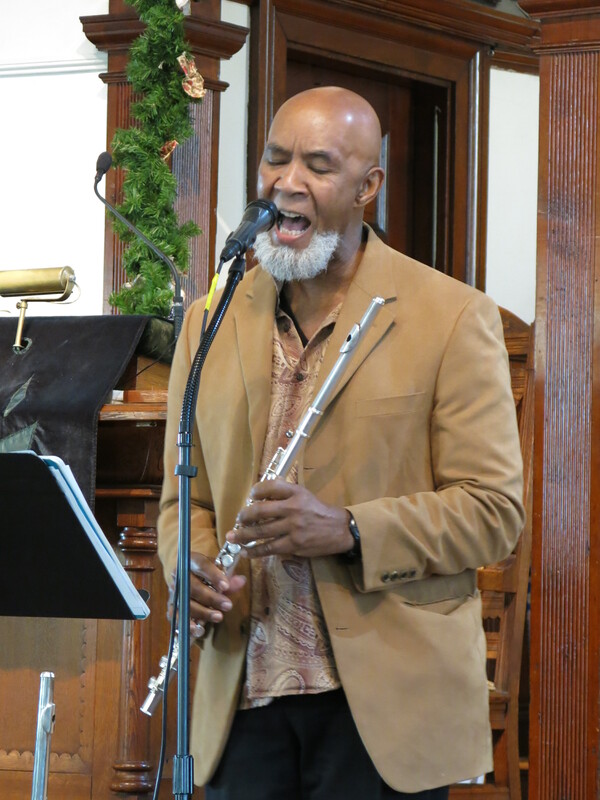 Singer, saxophonist, flutist, and actor Stan Strickland has performed throughout the U.S., Europe, Caribbean, New Zealand, and South Africa. He won the 2009 Presidential Award Coming Up Taller, given to him personally by Michelle Obama, for his work co-directing Express Yourself, a multi-discipline arts collaborative serving youth at-risk. Stan also teaches flute and sax at both Longy School of Music and Lesley University. Love and Beauty, Stan’s jazz vocal CD, features arrangements of jazz classics as well as original material. Stan Strickland at Jazz Sunday 2018.